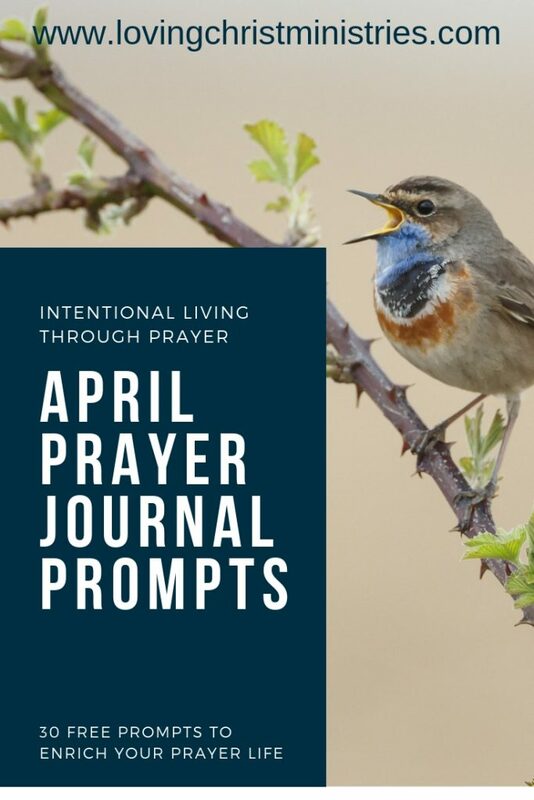 This post contains April Prayer Journal Prompts to help you live intentionally through prayer and focus on the freshness of spring and within us through God’s grace. You can bookmark this page and come back to it or click the link below the post to immediately download a free printable copy. Spring truly is in the air. Our temperatures have warmed a little, highs of 60F here in mid-Missouri. It’s still not quite as warm as I like it, but it’s getting there! I’ve enjoyed the singing of the birds so much. Their songs ring spring in with such beauty. It’s time, too, to begin thinking about what we want to plant in our raised garden bed this year. Tomatoes and peppers tend to grow best for us, but we do like to plant a variety of other herbs, vegetables, and flowers. In the devotional, Hope Blooms Eternal, I liken the freshness of spring to God’s grace allowing us to be reborn. Share your thoughts about this concept in the comments below the post. Here are the April Prayer Journal Prompts. Scroll to the bottom of the list to click the link if you want to download a PDF copy. To download your own copy of the April prayer journal prompts, click here. Have a wonderful April! Let me know how I can pray for you. Want to remember this? 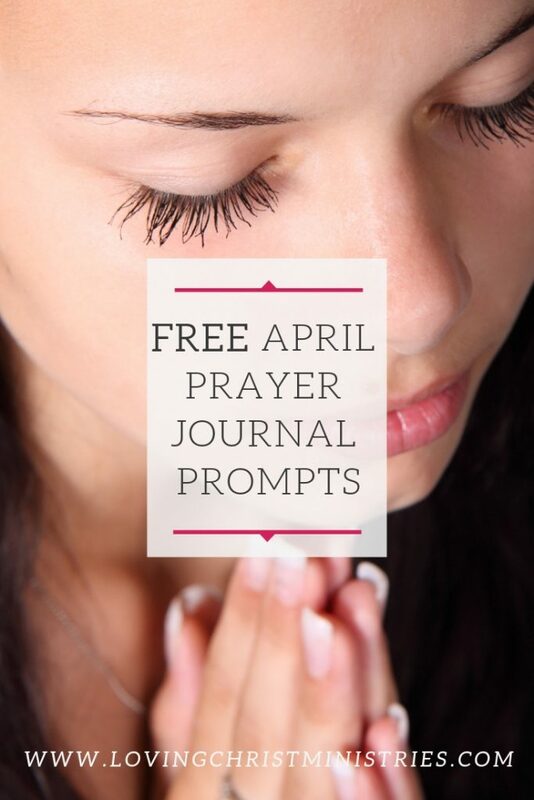 Post the April Prayer Journal Prompts to your favorite Pinterest board! Thank you for sharing these! I needed something to get my going! I’m so glad you like them! Blessings to you! Thank you so much for your journal prompts! They are perfect more the daily reminder to make time for God! 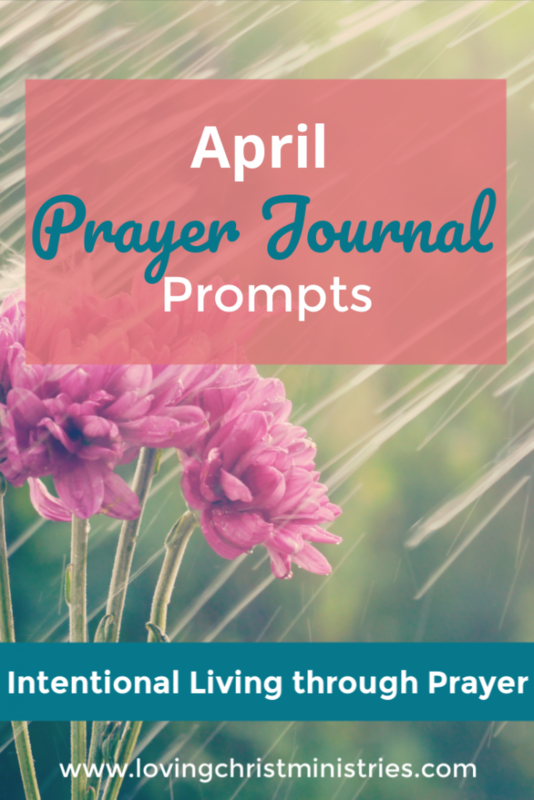 I love these prayer journal prompts for April! I find them so incredibly helpful!! Thank you for sharing these!! I love to share them! Thank you for taking time to comment! Oh, that’s wonderful! Hope you have a happy one. Thank you for taking time to comment!